Vidyalankar is an established institute that was incepted with no commercial gain in mind or to earn a livelihood out of it. Its objective is “to satisfy the inner urge of dedicating oneself to the sincere academic pursuit and to guide the eager young students with a missionary zeal, to enhance their worthiness and imbibe the nobler values of life in their receptive minds not by empty words but by one’s own example.” They have the best faculty teamed up for the aspirants coupled with the best classroom infrastructure. Kalrashukla Classes in Mumbai focuses on creating new benchmarks in the field of education thereby helping engineering aspirants with their true potential. The institute includes world-class faculty members with over 150 professors including experienced veterans and charismatic youngsters. Each professor specializes not only in distinct subjects, but further in respective topics as well to allow for expert insight. The institute also has been providing an ideal environment for the dissemination and reception of knowledge by young, impressionable minds. They make sure that each student is taken special care of and remove all their doubts in the classroom itself. 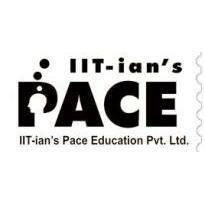 IITian’s PACE Education in Mumbai has been providing quality coaching to students for competitive examinations such as IIT-JEE (JEE Advance), JEE Mains, NTSE, KVPY and various Olympiads. They make sure to make the learning process fundamentally strong and enjoyable so that when learning meets fun they will be able to grasp more. Their innovative methods of teaching and integrated approach of learning have always been bringing positive results every year. The Universal Tutorials coaching classes in Mumbai has been providing engineering aspirants with the right tools and guidance to crack the examination in the country. They have provisions for coaching programs for IX & X STATE, CBSE and ICSE, XI, XII CBSE, STATE and ISC board and entrance exams NEET/ISEET. Their branches are in Vashi, Nerul, Airoli, Kharghar and New Panvel in Navi Mumbai. They offer classroom programs and test series for CBSE, State and ICSE boards for standard IX to XII. It is conducted during vacation and Saturday and Sundays during regular schools period. Tests are held on Sundays and Holidays. Yukti Educational Services (YES) is an IIT alumni body in Mumbai that has been offering training and guidance to engineering aspirants in the country. It is known for delivering coaching and guidance to bright students with their highly qualified faculty, comprehensive study material and regular tests and monitoring. The study programs conducted by YUKTI is especially designed, prepared, executed and coordinated by a core team of IIT alumni.